Wilson College has been awarded nearly $300,000 from the U.S. Department of Justice Office on Violence Against Women (OVW) Campus Program to strengthen the college’s ability to respond to crimes of sexual assault, domestic violence, dating violence and stalking on campus. The grant will enable Wilson to create Phoenix Against Violence, a comprehensive, coordinated program to prevent sexual and dating violence in the Wilson community and to enhance victim safety and support. The college plans to hire a full-time coordinator and implement an in-depth training program for students, faculty and staff, as well as work closely with community partners such as Women in Need and the Chambersburg Police Department to coordinate responses. Wilson is one of three Pennsylvania institutions of higher education to be awarded the competitive, three-year grant in 2018. 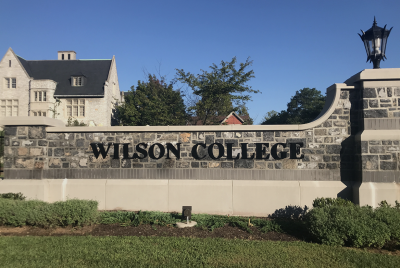 The college applied for the funding, in part, because of Wilson’s growth over the past six years, according to Vice President for Student Development Mary Beth Williams. Wilson had a total enrollment last year of 1,216 students–the largest in the college’s 148-year history and a 75 percent increase from 2012. Fall 2018 enrollment numbers, which are being finalized, are expected to increase again. • Create a coordinated community response (CCR) team that brings together Wilson’s on-campus student safety and support resources, and community-based partners in order to ensure students’ access to well-coordinated, effective responses to sexual violence and dating violence. • Provide mandatory sexual violence/dating violence prevention education for all incoming students by implementing a new web-based online prevention education tool, enhancing the existing prevention education session provided in person during new-student orientation, and implementing a universal education program using “Green Dot for College,” a bystander intervention model that engages all students, staff, administrators and faculty as allies to create a safe campus culture that is intolerant of violence. • Establish an annual collaborative program to train all Wilson Department of Safety officers to respond effectively to sexual violence/dating violence using victim-centered, trauma-informed best practices. • Establish an annual collaborative program to train all Wilson Joint Honor Council members–which includes students, faculty and staff–to respond effectively to sexual violence/dating violence using victim-centered, trauma-informed best practices. Wilson’s grant is part of $18 million awarded to 57 higher education institutions this year by the justice department to address sexual violence on campuses. In addition to strengthening the response of higher education institutions to sexual and domestic violence and stalking, the grant program aims to “enhance collaboration among campuses, local law enforcement and victim advocacy organizations,” according to the DOJ website. “This will allow us to do some really great bystander intervention programming with Chambersburg Police Department and Women in Need,” said Williams, who is on WIN’s board of directors. While PAV will focus on Wilson’s traditional student population living on campus, it will extend to all students, including women, men and LGBTQ students. “Over half of our campus don’t live on campus and many of them already live with domestic partners,” Williams said. Wilson officials plan to begin implementing the PAV program in October.